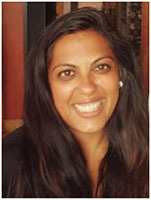 Bindi Patel is an educator working in higher education administration with her work focusing on access and equity work for underrepresented students. Currently in the community college sector she is focused on enhancing practices and services to support the colleges identity as a Minority-Serving Institute. At her previous institution, she focused on diversity and social justice education, working with Intergroup Dialogue, facilitating classes and training/coaching other facilitators. She has served on the boards of the Asian Pacific Islander Caucus of the National Conference on Race and Ethnicity and the National Association of Student Personal Administrators. Bindi is currently pursuing a Doctorate of Education at Northeastern University.